Checking the timeline, it looks like Rob played Tampa two days after I saw him. I've seen Cheap Trick a few times as warmup and headliner. Always have performed an entertaining and highly energetic set. Rest assured, even under my self-presribed consumption of domestic sinsemillian at the concert, Plant dominated the stage. The only thing Cheap Trick had over Plant on the July night I saw him, was Nielson's quintuple neck guitar. They opened the show i saw too in 88, as i remember cheap trick were very good, had a popular record out with that song, the flame, and a lot of people had their lighters in the air with that song, the old lighter/ballad tradition. Its kind of strange to think that they would be one of many bands to be nearly forgotten about in the 90s, when grunge rock was popular. Ya can't get much better of an opening band than cheap trick, everyone liked them. But they didn't upstage the plant show at all...just a very good opening band. I had a bootleg video where stevie ray vaughn opened the show, another great opening act for robert plant on that tour. I saw two shows on that tour, cheap trick opened the first show and maybe stevie ray opened the second show, or i'm remembering the bootleg video. He was a brave man letting It Bites be the support in the UK! They were at their peak in 88 and red-hot live! I guess he was so impressed he used Francis Dunnery on his 93 tour? Yes, Francis must have come to the forefront of his thoughts when assembling a new band for what would become the Fate of Nations album and tour. 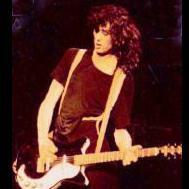 His other guitarist for this project, Kevin Scott MacMichael, was recommended by producer Chris Hughes. I do believe there are some interviews on the net with Francis Dunnery that cover his association with Robert Plant in greater detail. I must admit to being surprised by his choice as Francis Dunnery's playing is very much in the prog-rock style and he must have had to rein in his urge to let rip sometimes! I highly recommend It Bites' All Around the World album - progressive pop-rock at it's best! He didn't rein in very much at the time, but is quite accepting of that now that he is very much clean and sober. His house concerts are something special. Cheap Trick opened in Hampton Va on that Tour great show He sang Crazy little Ship of Fools to Thousands of Sailors in the Audience !! I remember listening to the local rock station down in here Tampa taking calls from people who had just left the show and the DJ said the calls at that point were almost 50/50 as to which performance was better, Plant or Cheap Trick! I thought to myself "no way". Does anyone remember how well Cheap Trick played during their set at any of the shows they opened? I find it hard to believe they did "better" than Plant and his back up band under any circumstance. Thats not a knock on them btw. I was at the Tampa show and actually taped both sets. I have seen Cheap Trick many times, but that performance was by far the best I ever saw them give. 50/50, not by a long shot! The crowd was very much into CT, as 'The Flame' had just hit #1 on the charts and they played all of their hits - which makes for a great 45 min. set. But Robert blew the roof off the old Tampa Fairgrounds auditorium. Plus Phil Johnstone came up to the front of the stage to play 'Black Country Woman' on acoustic guitar with Robert and looked a bit like Jimmy, so the crowd really went wild when they mistakenly thought it was Pagey. I saw RP/CT a couple of weeks later at Saratoga Performing Arts Center in NY and it was a good show too, but nowhere near the energy of the Tampa show. Great tour! That was a good tour. Saw RP in Michigan. In fine form. The Mission UK were the opening act and they were really uninspiring. I recall the singer Wayne Hussey kind of moaning or murmuring through his vocals. Robert was great in comparison. Did Misty Mountain Hop, Black Country Woman, and I can't recall what else from the Zep catalogue...he needs to have fun again in his solo career and cut loose a bit. I caught Robert in 1988 in Lubbock, TX. The show was fantastic! Joan Jett was the opener. I don't know if I saw the best show of that tour, but I DEFINITEY saw it in the best location of that tour. 4th of July, in Red Rocks Ampitheater in Denver, CO. I was in the summer preceding my senior year of college, we had 7th row seats, and it was one of those nights when every single one of my tight circle of friends from high school and college reconnected for one last night together before we soon scattered across the country. Such a great night.. and such a great memory. In the distance, you could see the fireworks shows across the Denver metro area as Robert and company gave an amazing show. For the record, Joan Jett was the opening act, and didn't get the best reception. People were at that show for one reason... and all she represented was an obstacle to the prize. Nice story MOMB! Plus welcome to the forum, my fellow Central Floridian! 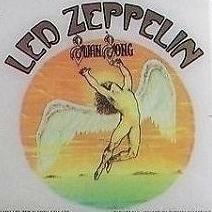 Awesome thanks, always looking to meet other local Zep fans! Thanks to Mark Zep for the video. I took my then 7year old son Robert to one of the NSG shows. Indeed DeborahJ. He's 35 now. He has been to see Robert with me a few times since then. Very sly answers from Robert. Notice Plant's use of the term "subtle blend" at 15:40 characterizing Jimmy Page. That phrase is attributed to Benji Lefevre in reference to Page's mixing of coke and heroin. Robert must have thought no one would get what that meant.